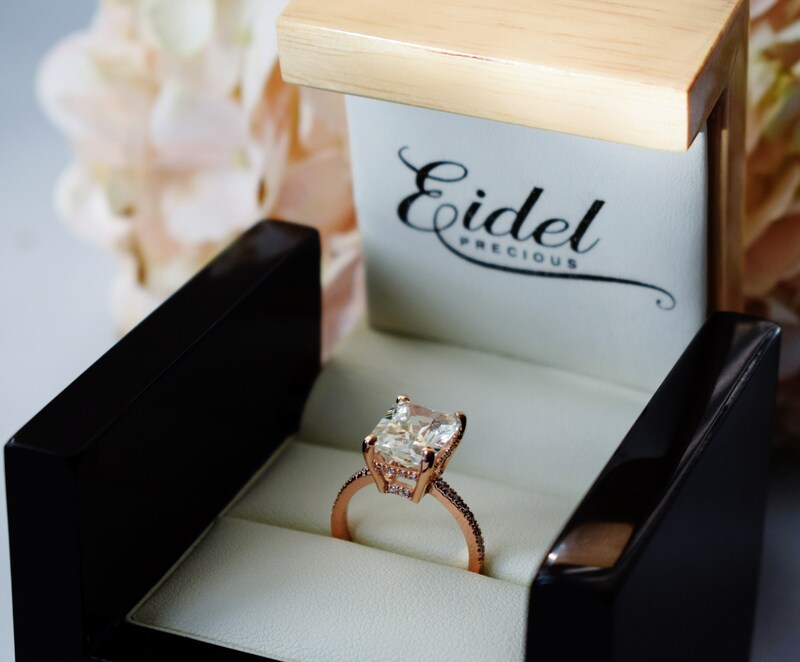 Champagne sapphire engagement ring by Eidelprecious. 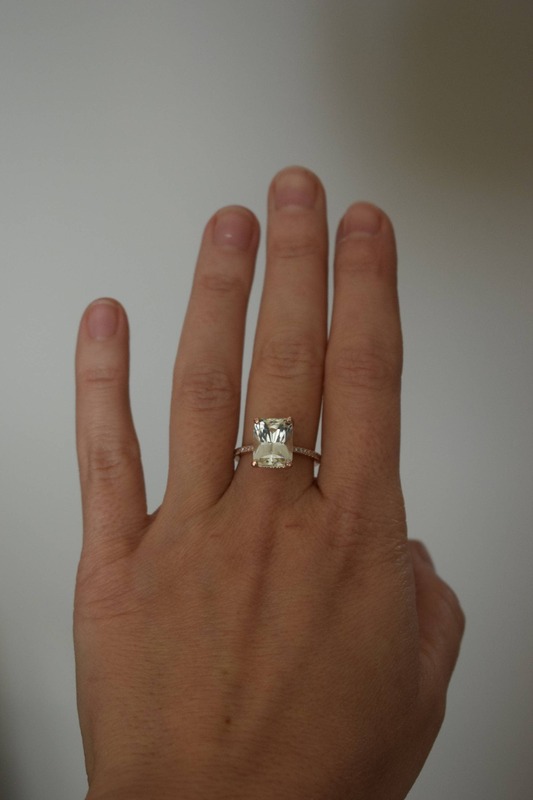 This 7.5ct sapphire is stunning! The color is gorgeous light yellow champagne. 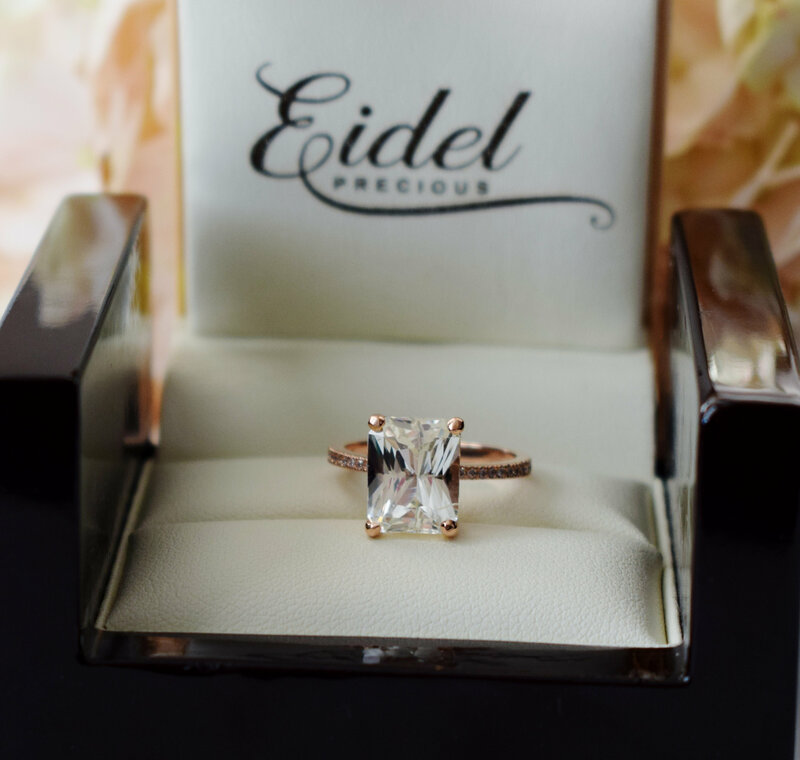 Magnificent emerald cut - clean and sparkling, SI. 10x9mm. 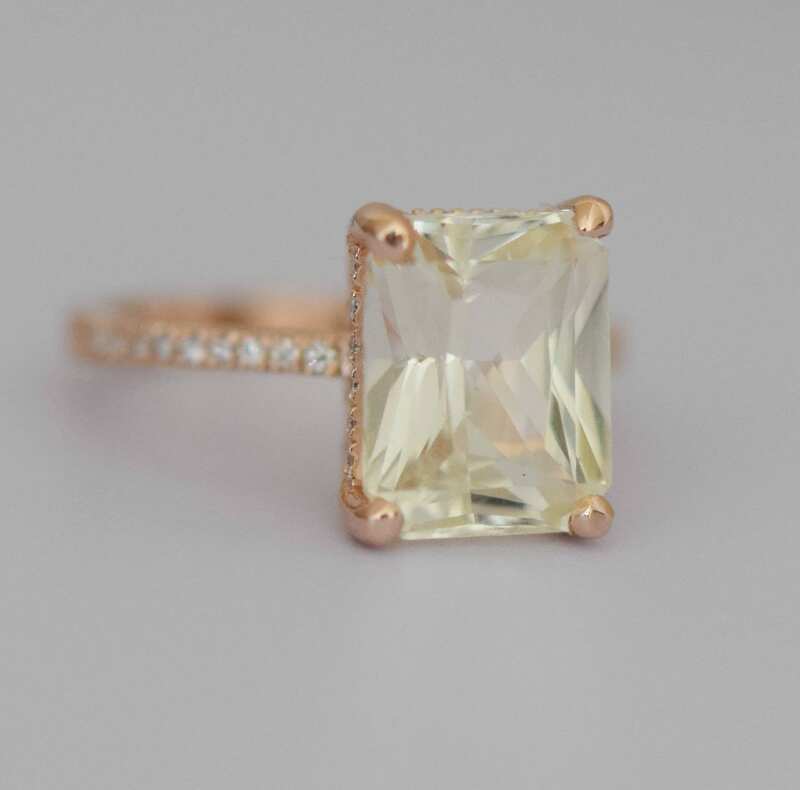 This sapphire is unheated and untreated, SI. 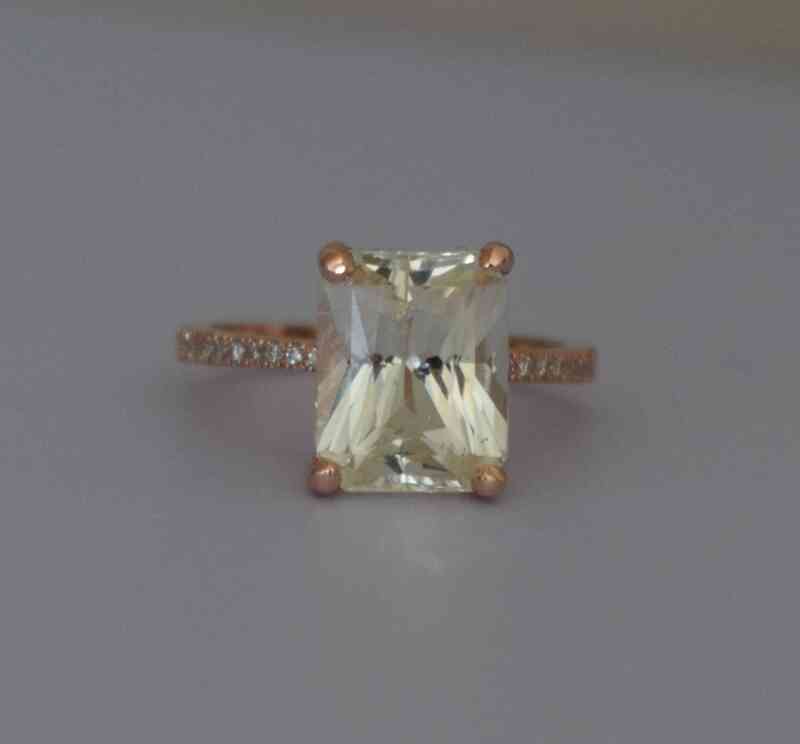 The beauty is set in my upgraded 18k rose gold diamond setting, VS/F diamonds, TDW 0.3ct. 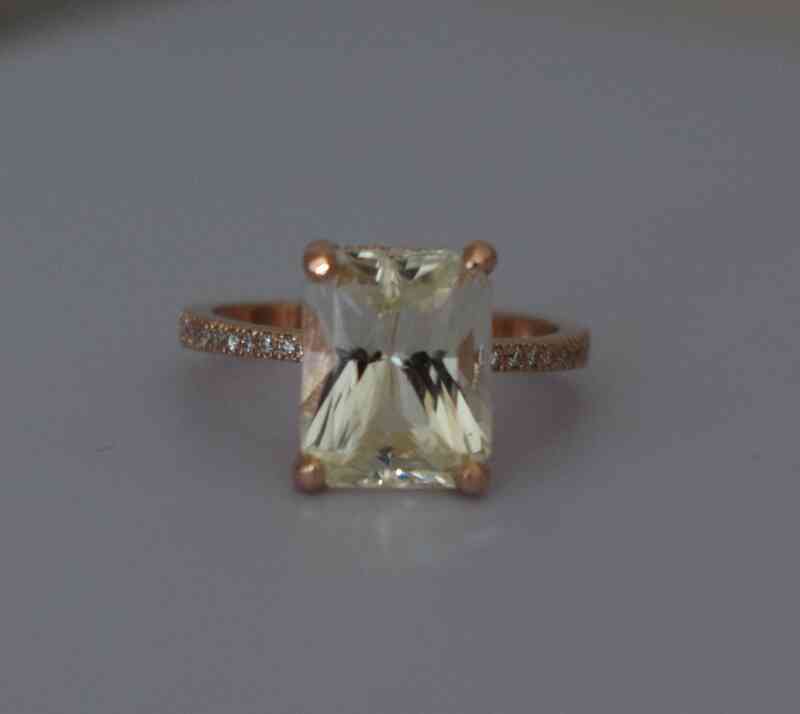 If you would like to have this ring made in a different gold or Platinum or in one of out designs, please let us know. 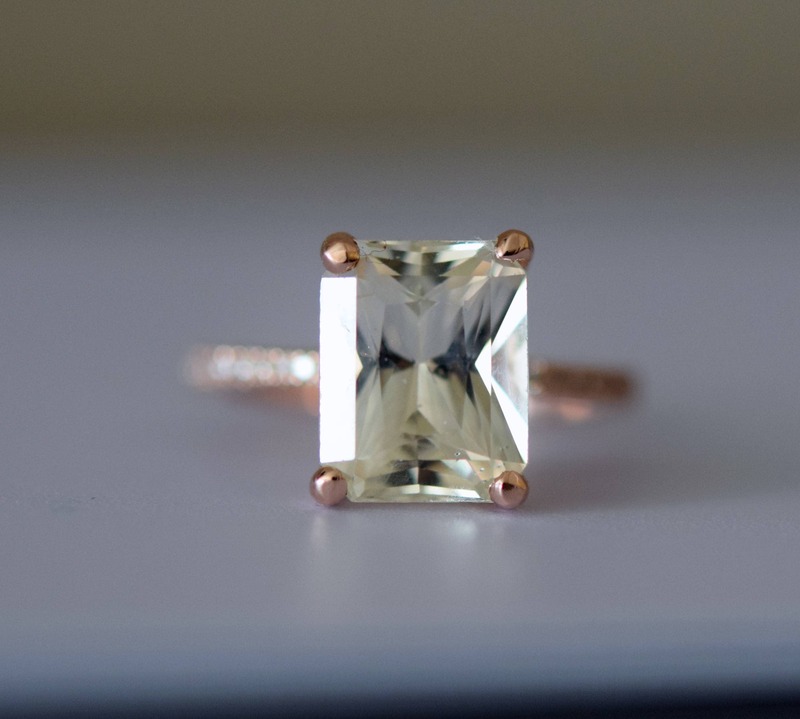 The sapphire can be purchased loose as well.